Stacy Menz, PT, DPT, PCS is a pediatric clinical specialist and the owner of Starfish Therapies. Stacy received her Master’s degree at Boston University in 2000 and her Doctorate of Physical Therapy at Boston University in 2005. She is the founder and owner of Starfish Therapies a pediatric physical therapy company in the San Francisco Bay Area. Their mission is to make a difference in the lives of each child and family that they interact with. In addition, Stacy has experience as a teaching/lab assistant for Boston University, South College, and Chapman University’s Doctor of Physical Therapy programs, has presented at state and national conferences, and teaches continuing education courses for pediatric physical therapy. She is the editor of Impact, the Private Practice Section’s magazine and is a board member for KEEN San Francisco. She is also involved in both her state and national pediatric physical therapy sections. 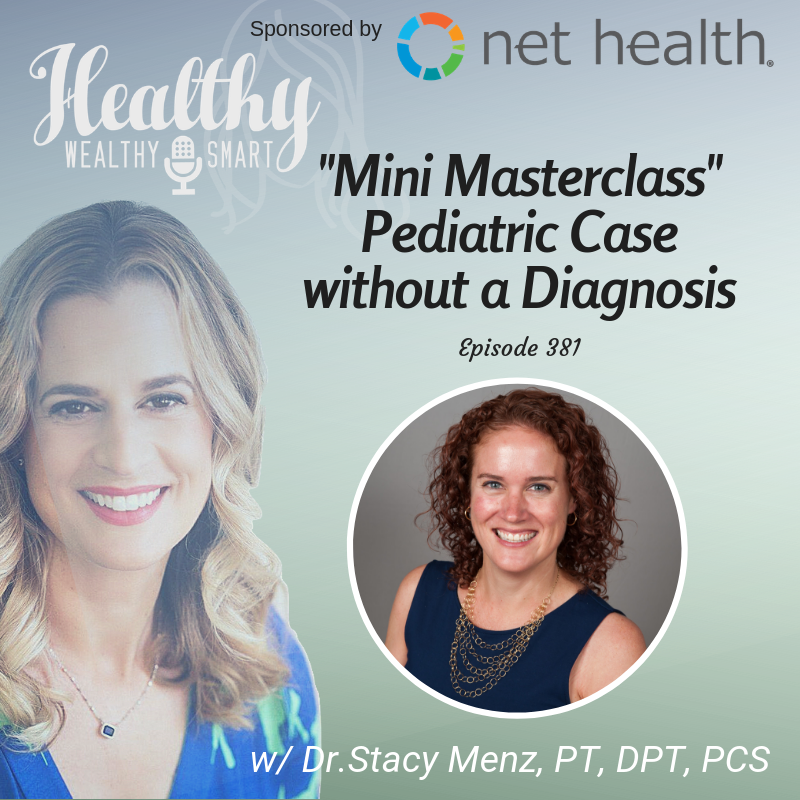 She has been interviewed on Sirius XM’s Doctor Radio regarding pediatric orthopedic conditions, as well as Profiles in Leadership and Start a Therapy Practice.